Volvo V40 Performance, Engine, Ride, Handling | What Car? If your priorities are running costs or company car tax, the entry-level D2 diesel engine is the way to go. It’s perfectly adequate in everyday motoring, whether in town or on the motorway, and it’s smartly priced. However, be aware that its performance isn’t as effortless as that of the best equivalent diesels in key rivals such as the Volkswagen Golf. If you’re willing to pay more to get stronger performance, both the D3 and D4 diesels are good options; the D4, in particular, is efficient considering the power it offers, and makes the V40 satisfyingly fast. There’s a broad range of petrol engines in the V40 line-up, but we’d avoid the high-powered 2.0-litre T5 because it’s not fun enough to justify its high price. Of the rest – which are 1.5 or 2.0-litre turbocharged units, depending on whether you go for a manual or automatic gearbox – the T3 is our favourite; it’s smooth and happy to rev hard. All the diesel engines can be had with an automatic gearbox; the D2 and D3 get a six-speed unit, while the D4 has an eight-speeder. There’s a similar split with the petrols; the T2 and T3 can be ordered with a six-speed auto, while the T5 gets the eight-speed ’box as standard. V40s come with standard or sports suspension, but we’d avoid the latter because it makes the ride overly firm; in fact, the ride is unsettled even on the standard set-up, particularly on bigger alloys. 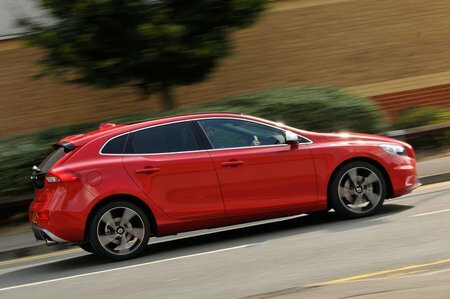 All but the most sporting V40s – primarily the T5 – cope well with motorway miles, and are comfortable long-distance cruisers. Cross Country models have slightly softer suspension than the regular editions. The V40’s handling is average but nothing more. All models bar the top-end petrol Cross Country V40 are front-wheel drive, and while they have plenty of grip (even in poor weather), the front end will slide wide of your desired line earlier than rivals’. The steering feels vague and inconsistently weighted, too, but at least it’s light enough to make low-speed manoeuvres easy. 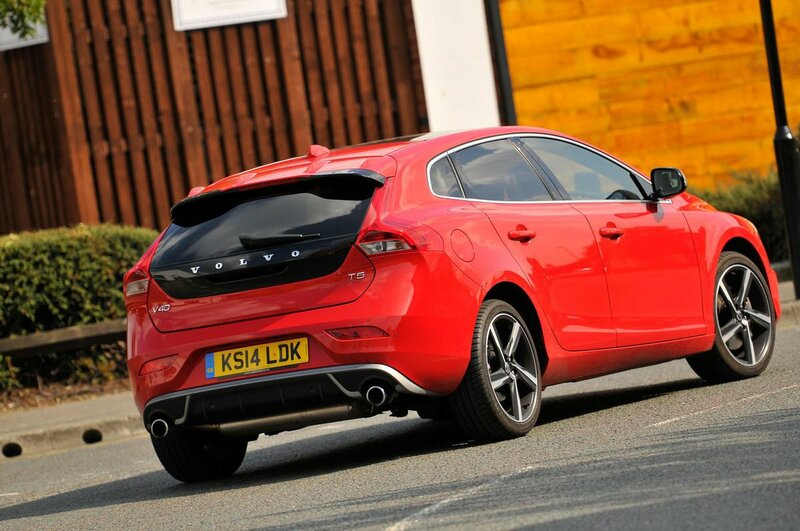 Body roll is well controlled, and as long as you’re after normal, unhurried progress, the V40 is easy to drive. The petrol engines are smooth and the noise fades into the background under all but heavy acceleration, although the T5’s boomy, resonant exhaust note can be wearing. The D2, D3 and D4 are good by diesel standards, emitting a distant but easily ignored thrum when you’re cruising. You do hear the usual clatter if you demand more revs, mind you. There’s a lot of wind and road noise at motorway speeds, while you also have to put up with a spongy-feeling clutch pedal and a notchy gearshift. At least mechanical vibrations are well suppressed in all V40s.